When the Marines are in the field, they need a powerful performance knife that they can count on. 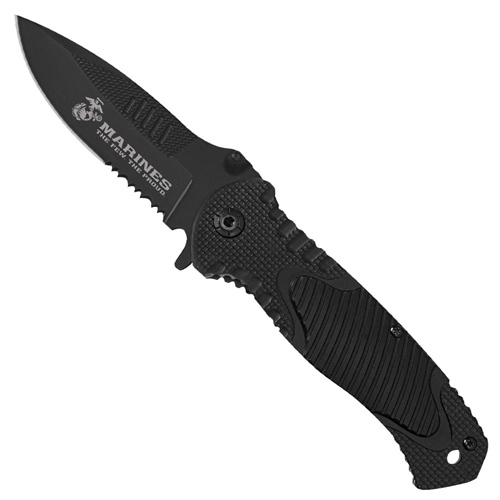 This officially licensed USMC folding pocket knife features a razor-sharp, partially serrated drop point blade crafted of 3Cr13 stainless steel with a non-reflective black coating. The powerful blade springs into action with a lightning-fast assisted opening mechanism. The blade spur and thumb stud provide simple one-handed opening.